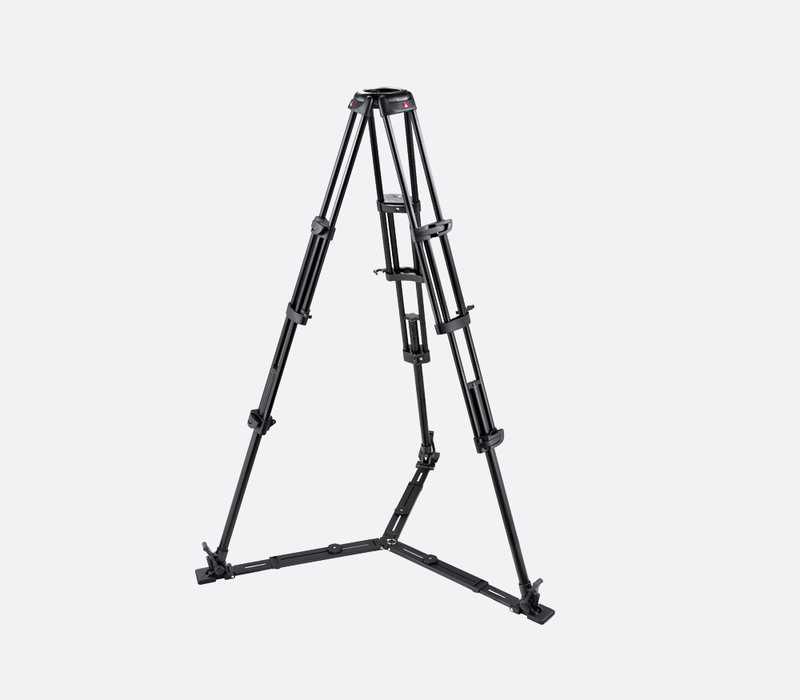 Designed for videographers and film-makers these video tripods are sturdy, durable and ergonomic. Manfrotto have long been at the forefront of camera and video tripod technology and innovation, and the current range of hardware accessories designed and manufactured in Northern Italy retains that reputation. 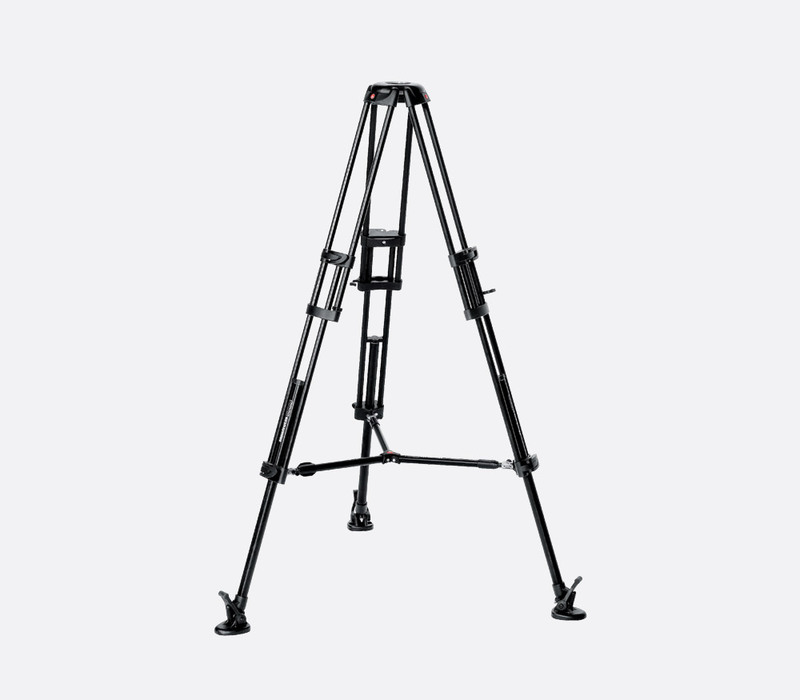 This is a lightweight, aluminium, video tripod with three single telescopic legs that is quick to set up and compact to carry, useful for small ENG or EFP applications. An operating temperature range of -30 degrees to 60 degrees Celsius will attract those travelling to locations of extreme conditions. An extendable and removable centre column has a 50mm diameter aluminium half-ball. This, inconjunction with a 50mm levelling ball, enables the user to best position the tripod with a +/-15 degrees tilt in just a few movements. 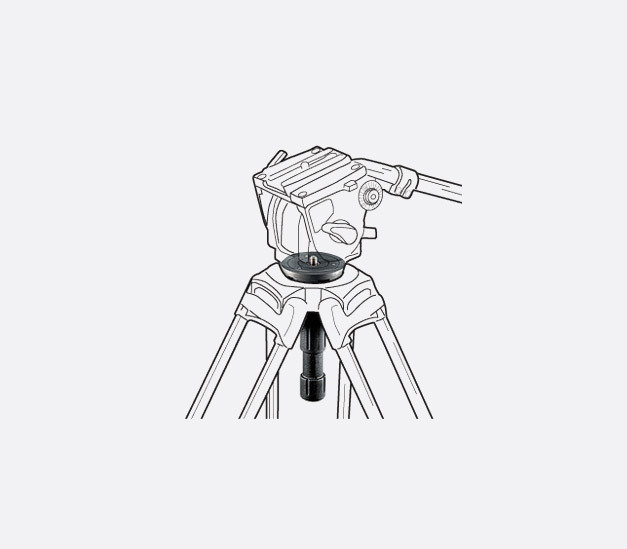 The flat-plate has a single bubble level for more accurate horizontal positioning and a 3/8inch screw for connection to compatible video tripod heads. The three-sectioned legs can be adjusted for height and locked into position using the flip-lock lever system and each leg can be independently set to one of four preset angles of 23, 45, 65, or 88 degrees. Each leg has a rubber foot to prevent slipping. 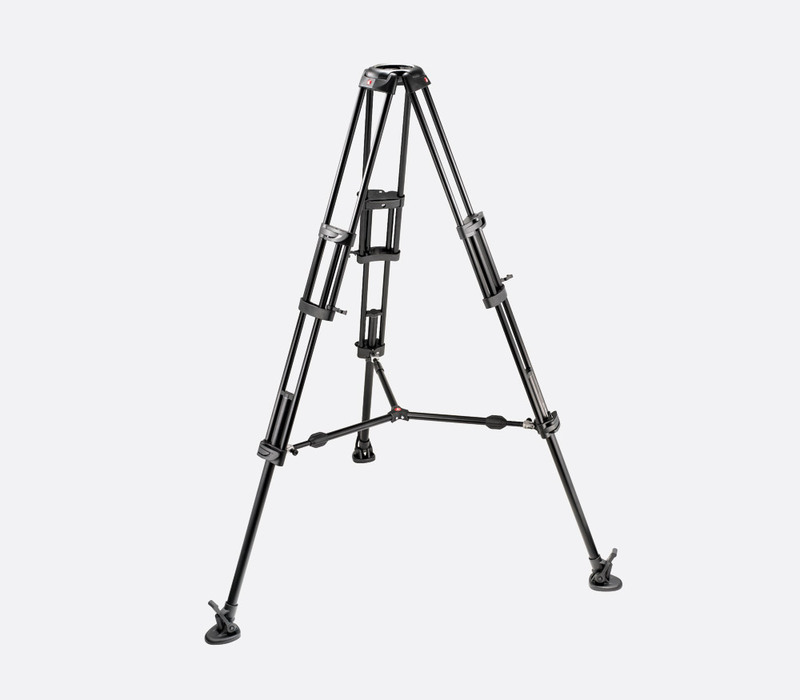 755-CX3 video tripod has the same feature set as the 755XB except that it is manufactured from carbon fibre and magnesium making it a lighter option for the operator on the move and each leg can be set instead to one of four preset angles of 23, 47, 66, or 89 degrees. 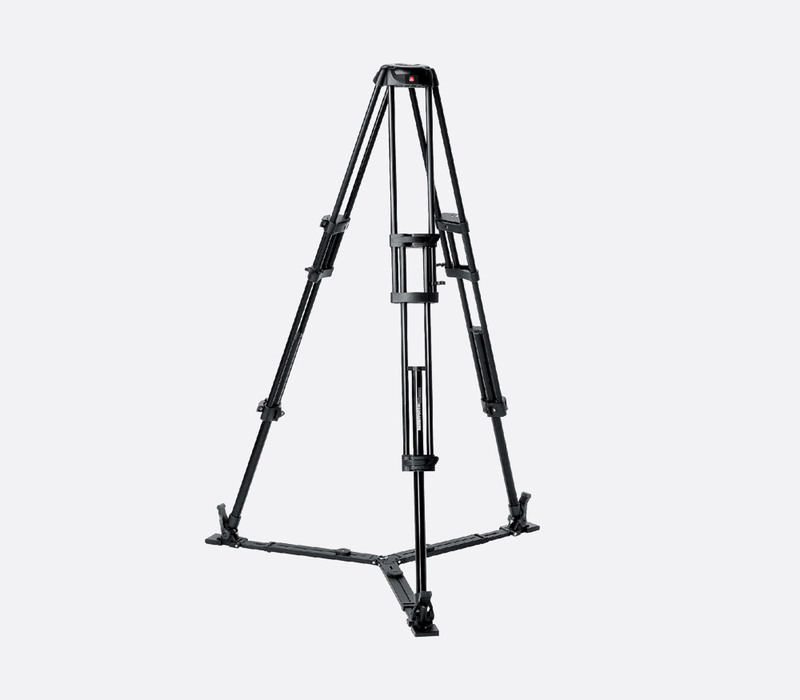 Manfrotto 545B is part of the PRO series of video tripods, designed for professional videographers with payloads of up to 25kg, in the broadcast and filming sectors. 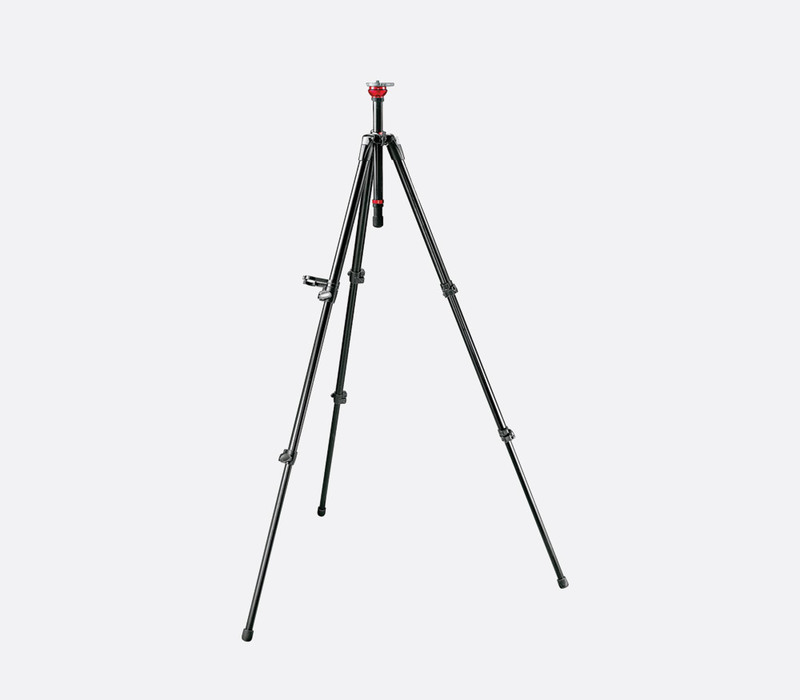 This heavy duty aluminium tripod with three-section, twin legs features a mid-level spreader with arms that can be adjusted independently in length for tripod stability. Each leg can be lengthened and locked into position using Manfrotto’s newly designed collars with lever locks, whilst a rubber overshoe can be fitted over the included foot spike for harder ground surfaces where spikes are less effective. The top aluminium casting with 100mm bowl is compatible with PRO series heads such as the 509HD or 500BALL with 3/8inch screw connection. The 520BALL 75mm half ball can be used with the 545B when used with the 319 adaptor ring. 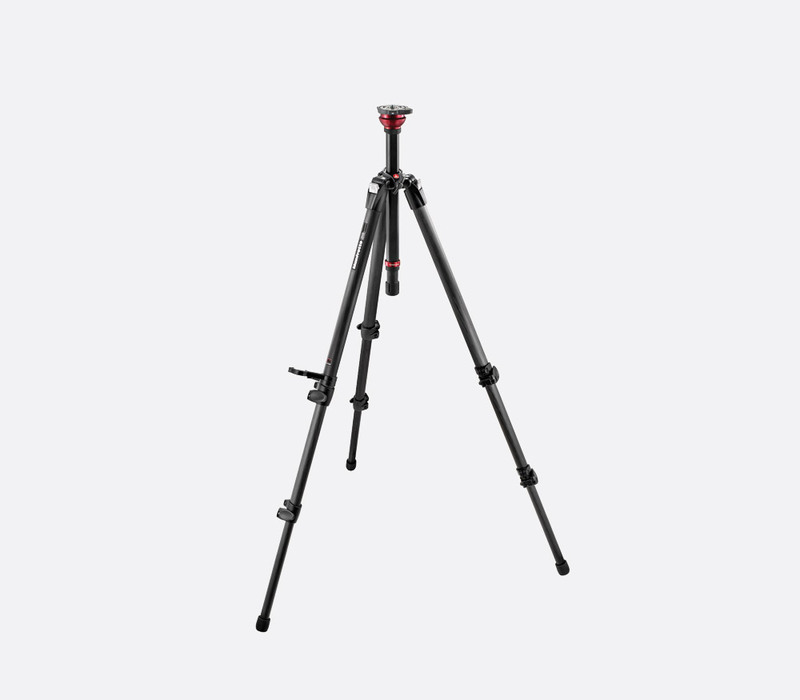 The 545GB video tripod is similar in most respects to the 545B except that, instead of a mid-level spreader, a 165MV ground-spreader, included, completes the hardware. Due to the ground-level spreader, the 545GB does not include foot spike shoes. 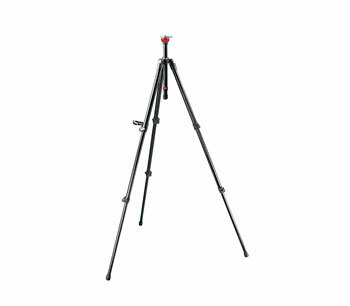 Manfrotto 546B is also part of the PRO series of video tripods and shares the feature set of the 545B. The main differences are the maximum payload weight of 20kg, and the top aluminium casting has a 75mm bowl making it compatible with the 520BALL or directly with the 504HD video tripod head. 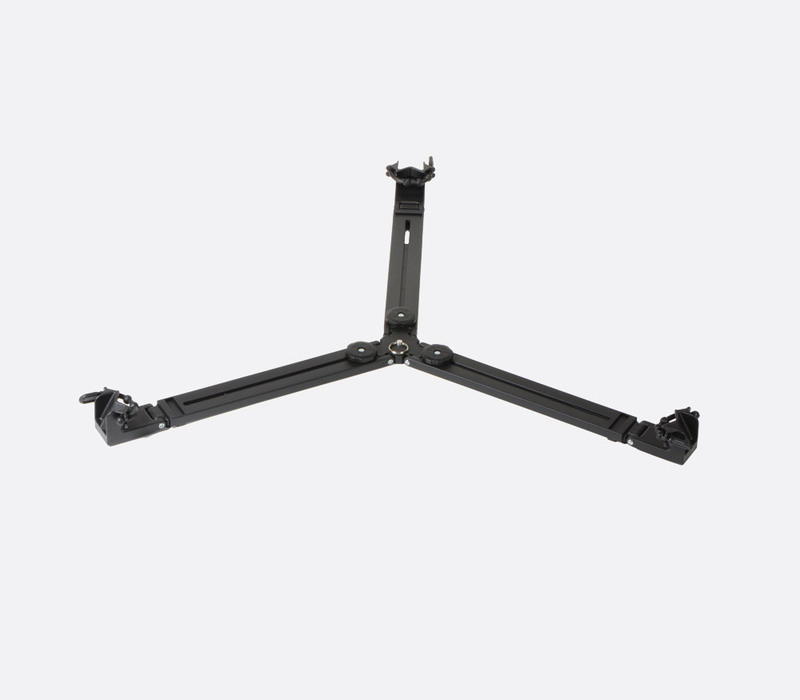 The 546B includes a mid-level spreader to increase stability and positioning of the tripod. 546GB video tripod is similar in most respects to the 546B except that, instead of a mid-level spreader, a 165MV ground-spreader, included, completes the hardware. Due to the ground-level spreader, the 546GB does not include foot-spike shoes.